Recently, I lost my Maybelline's Clear Glow compact's puff and I thought that gives me a valid reason to splurge on another compact. I intended to buy the Rimmel's Stay Matte one but failed at finding the same in the store. 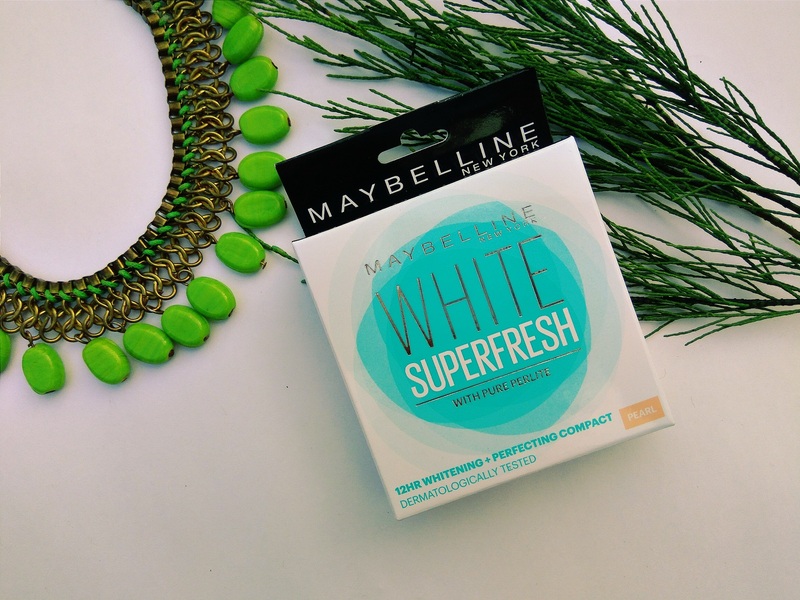 I had seen great reviews of the Maybelline's White Super Fresh Compact. To it's bonus, its also quite affordable. it retails at INR 150 for 8 grams of the product. There are three shades available; namely- pearl, shell and coral. It contains Perlite which is a mineral that is endowed with skin perfection powers and efficiently absorbs in all the grease or the oiliness of the face. The UV filters within helps in fighting the harmful sun rays. Further, it claims to keep the skin fair, fresh and perfect. This compact powder is dermatologically tested and comes in a pretty all white packaging, with the brand name inscribed onto the top. 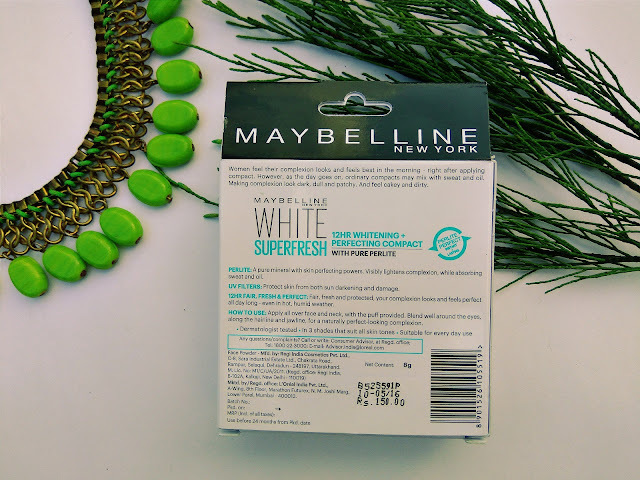 To be honest, I am a big fan of Maybelline products and I could not let myself pass away without using such a great makeup item. 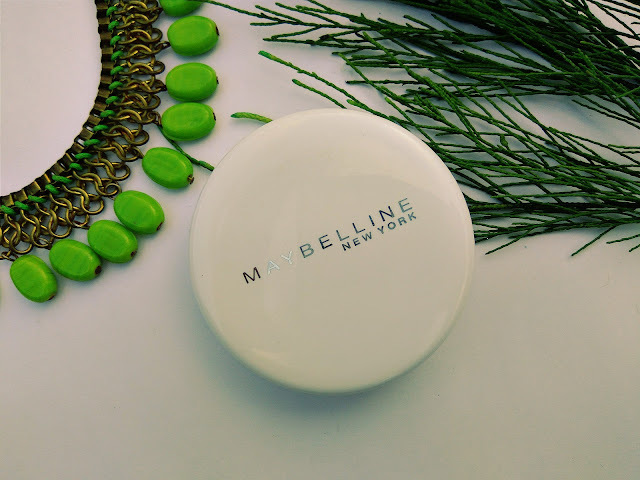 It comes along with a soft powder puff and a plastic shield inside which acts as a barricading for the compact puff to transferring face's oiliness and bacteria onto the powder pan. The mirror too makes it convenient travel friendly. The Maybelline White Super Fresh Compact does actually whiten the face; of course not for 12 hours. Not that it enhances your natural fairness, but it restores the original colour of your face as it was in the morning before being targeted by dirt, pollution or dullness. 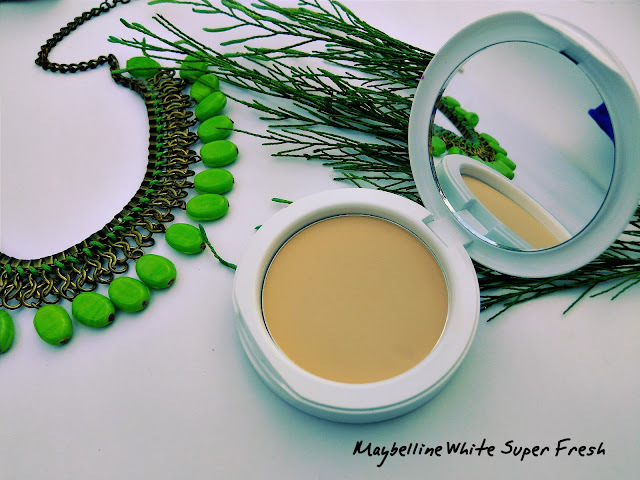 The coverage of this powder is light but you can use it for setting your foundation/concealer and warding away the sebum production of your extra time working oil glands. This product has a fruit fragrance which vanishes soon and it blends away into the skin easily. The powder stays on for 2 hours but can vary with various skin types. Neither does it cause flaky patches nor looks cakes sitting onto the face.